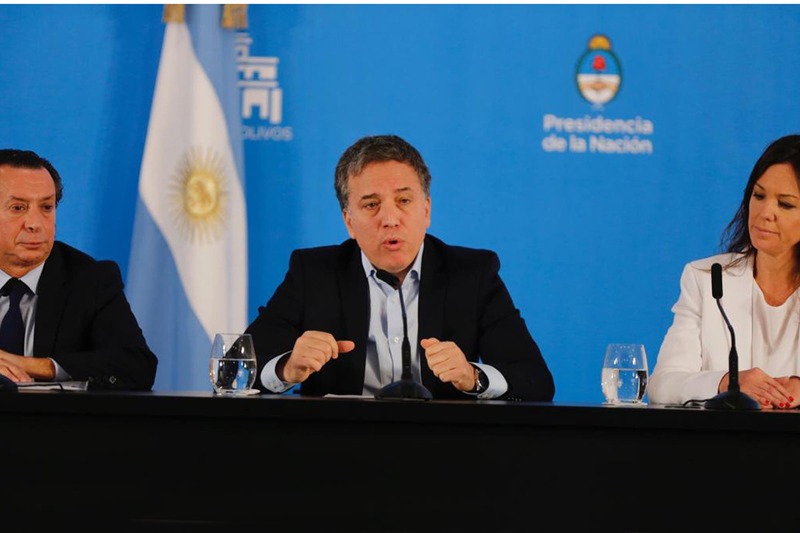 With the intention to re-activate spending, which fell by 8.7% in the past month, the government announced today "economic and social measures" to "beat" inflation and "protect Argentina". According to the government's description, the measures are the result of "agreements with leading companies to maintain prices of 60 essential products for at least six months and the inability to increase the public service rate for this year." In this way, the price control will continue until October 22, five days before the presidential election. In addition, the government will launch a "new round" loan from Anses, a "new call" from the Procrear plan and the "new discount network" from Anses. The government will no longer have an increase in the rate of electricity, gas and public transport for residential users in the rest of the year. The two increases in electricity announced for the rest of 2019 "will be absorbed by the nation-state". The increase in gas used since April and scheduled for three months (10% in April, 9% in May and 8% in June) will be the last year. During the winter, a discount of 22% will be achieved on the price of gas that users will pay in invoices for the summer months (which are the lowest consumption). According to the Government, this will "enable" the equalization of "the final account between the winter and summer months." The costs of postponing these payments will be taken over by the state. By the end of the year there will be no increase in buses and city trains. There will also be no increase in tolls that depend on the national government. Mobile phone operators will keep the prepaid line price for five months, until September 15th. This measure uses 35 million active lines. It will save its prices for at least six months of 60 essential products from the base basket of the 16 first companies. (Oils, rice, flour, noodles, milk, yoghurt, yerba, infusions, sugar, cans, pellets, biscuits, jams and beverages). Companies must ensure the availability of products in the gondola to 2,500 points of sale that are maintained throughout the country. It will be available from Monday, April 22. Export refrigerators have agreed to sell 120,000 kilograms of weekly roasting, vacuum and matamis at 149 pesos per kilogram (final price) at the retail market of the Central Market and at the exits of each of the fridges. The cuts at these prices will be available "when the new system finishes" for about 10 or 15 days. Anses beneficiaries, a discount network of 10% to 25% for 18 million people receiving benefits from Anses in supermarkets, clothing, lighting, travel and tourism, appliances, white goods and construction materials Discounts will come to pensioners and pensioners, contributors of non-contributory pensions (the vast majority due to disability), Universal pensions for the elderly, universal child care carriers, unemployment benefits, family supplements. Users can make discounts on their debit cards linked to Anses. New offer of Anses loans for pensioners, beneficiaries of non-cash pensions, universal task for child and family allowance. (About 18 million people). The investment planned for this round of loans is 124,000 million pesos. Those who already have a loan can take a new loan and refinance the previous loan. In any case, the value of the fee can not be higher than 30% of the monthly payment. Amounts for pensioners are doubled: they can take loans up to 200,000 pesos, which will be repaid in 24, 36, 48 or 60 installments. Users of universal allocations for children and families can seek loans up to 12,000 pesos per child, in 24 or 36 installments. Those who receive a non-contributory pension (PNC) or a universal retirement pension (PUAM) can claim up to 70,000 pesos in 24, 36, 48, or 60 installments. The government is planning an order on a new regime of commercial loyalty to "avoid abuse of dominant positions or possible monopolistic behavior by large companies." The Internal Trade Secretariat will have more authority to sanction unfair or anti-competitive behavior and to protect consumers, small businesses and small and medium-sized enterprises. The Universal Childhood Allocation (AUH), We are Future, Complementary productive projects and the "More Life" program in the province of Buenos Aires and their family group will have access to discounts of 20% to 70% in medicines in a network of 5000 pharmacies distributed throughout earth. (They are about five million users). Loans for connection to the natural gas network will expand to about 70,000 households who still use gas bottles (despite living in a gas network). Those who access the program will have 60 fixed installments of 489 pesos. "The loan is paid together with the invoice and households automatically receive a social gas bill for six months," the government explained. A new call for a bridging plan for 10,000 users will be set up. They must contribute part of the value of the house (10% of the price), and the national state will contribute 20% to non-refundable subsidies. The average subsidy will be 550,000 pesos. In addition, the government has announced that it has designed "alternatives to mitigate the situation of those who now have housing loans in the UVA and have noticed a significant increase in quotas". AFIP will launch a new payment plan to regulate the tax debts of all taxpayers at a lower rate than the previous plans and would cancel them in the longer term. This will include main tax debts (such as VAT, profit and personal assets) that came due on January 31, including retention and payment of taxes. The new plan can be regulated up to 60 years. The maximum interest rate for SMEs will be 2.5% per month, "lower than in previous plans and well below market rates". towards the Government. It is reduced to 10 business days in a period in which traders receive money from sales made by a credit card. (The credit card pays for each sale within 19 working days of the operation). In addition, banks will not charge more commission (today, between 1% and 2%) for SMEs to receive cash. This situation was not regulated by BCRA, which will now determine and prohibit the commission. Export rights (holdings) have been eliminated for all companies that export above the average of last year's exports. This measure applies only to exporters of less than $ 50 million a year.